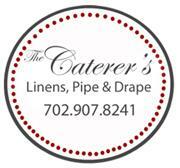 TCI Linens of Las Vegas offers top quality Pipe and Drape priced per linear foot. 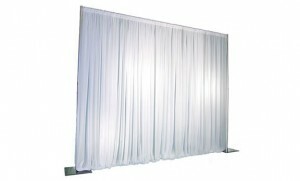 The drapes are available in black and white. This item must be delivered, and set-up is always FREE. 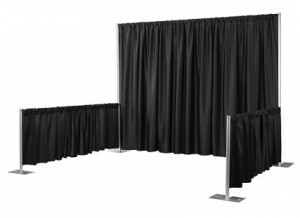 Currently, our premier, poly blend drape, is available in black or white. Please contact us for additional colors. TCI Linens of Las Vegas offers table linens and table skirts in a variety of sizes in black and white. Please contact us for additional colors and pricing.